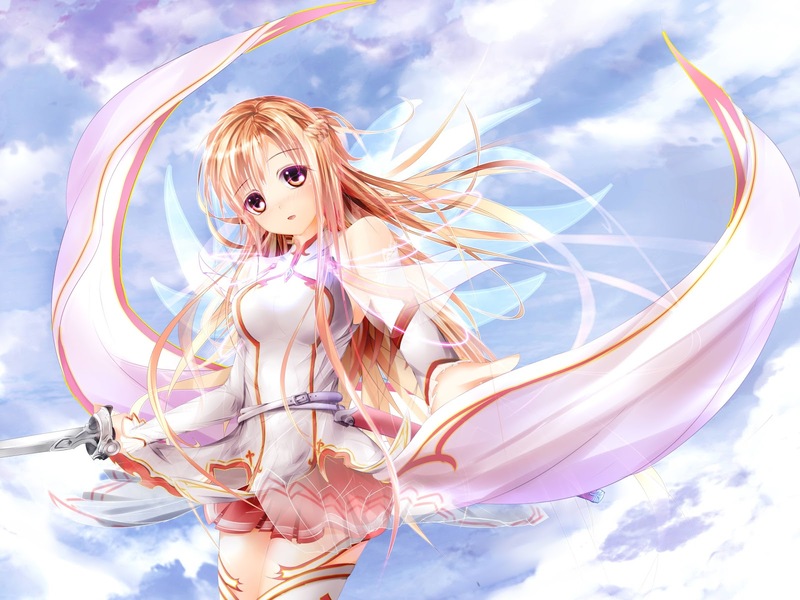 For today's entry for Moe Monday, here's this simply beautiful image of Sword Art Online's Asuna. I'm one of the many keeping tabs on the series via Crunchy Roll. Love it of course and glad to see the story begin to pick up again after the past few episodes. Great series overall (I know, I need to read the light novels) and for me it holds a special place as a game designer and gamer. The games showcased in this future world could very well become a reality ..and so could the issues brought about by having the ultimate goal of gaming fulfilled...the 100% immersive/Matrix-like world. Not sure who the artist is for this piece...found it on zerochan. If you know the artist leave a note or link in the comments below.